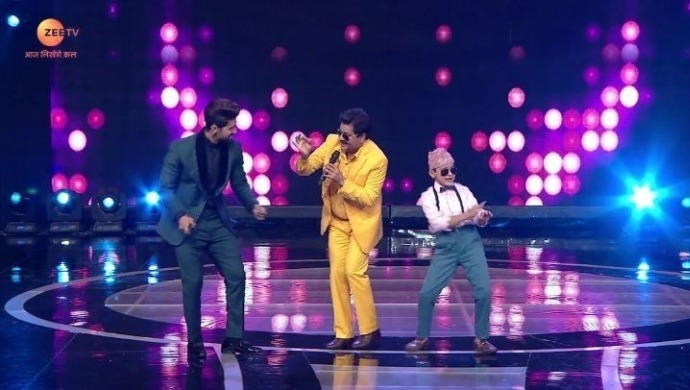 Renowned singer Udit Narayan and the team of The Tashkent Files visited Zee TV show Sa Re Ga Ma Pa Li'l Champs 2019 on April 13-14, 2019. The 7th season of India’s most iconic singing reality show Sa Re Ga Ma Pa Li’l Champs went on air on Zee TV a couple of months ago. With the theme of empowerment to overcome limitations through music: Music Se Badhenge Hum, the television serial is a nationwide talent hunt for budding singers. The latest episodes of the show saw renowned singer Udit Narayan visit the little champs! Rightly credited as the man who taught us all to romance with his songs, this weekend was truly a Udit Narayan Special. Merely five-year-old, Swaransh touched everyone’s hearts with his super cute performance on Papa Kehta Hai. Mohammed Faiz put up a spectacular show as he crooned Ruk Ja O Dil Deewane. Dressed in a similar suit like the singer himself, Faiz spread plenty of smiles with his rendition. Mithila’s soulful performance on Ae Mere Humsafar is a testimony to the fact that she indeed is the melody queen! Kya Kare Kya Na Kare we cannot stop obsessing over Aastha’s power-packed performance. The stunner is back at it again and how! Another highlight of this weekends’ episodes was the jugalbandi between Shaan and Udit ji. Which contestant impressed you the most? Let us know your favourite one in the comments box below. In the meantime, don’t miss your favourite champ’s performances, watch Sa Re Ga Ma Pa Li’l Champs 2019 on ZEE5 for free anytime, anywhere!